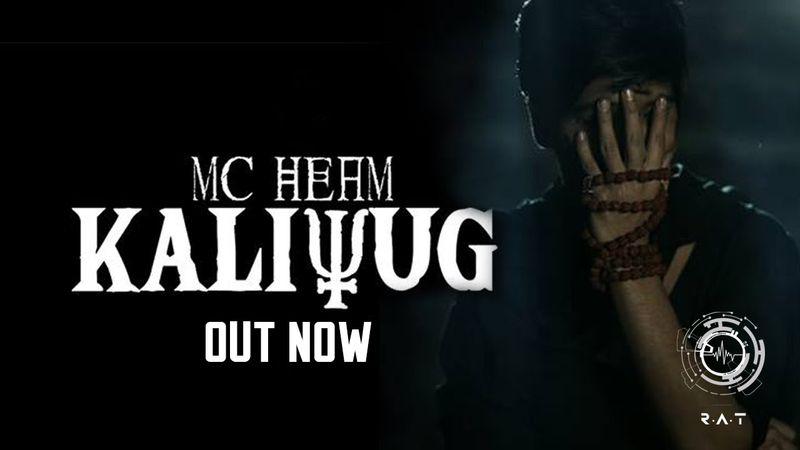 MC Heam just released the official music video of his track Kaliyug in association with Revolt Art Technology and DesiHipHop.com. We have been updating you inside out about this project, and now finally the video is out. All the hype created has been justified by just viewing the video once. We can say this confidently – you have not seen a video like this come out from the Desi Hip Hop scene since a long time! MC Heam has redefined conscious rap for all the Hindi rap lovers. Being a pioneer of Hindi rap in India, Heam has stuck to his roots of the language coupled with his knowledge of Sanskrit and Hindu scriptures. Kaliyug is a track inspired by mythologies Mahabharata and Ramayana. As predicted by Lord Ram, we are in the final stage of the world where evil subsidies over everything. Kaliyug’s music video is captivating to the core. The visuals do absolute justice to the vibe of the track from start to end. MC Heam has donned two different looks for the video, one fresh off the streets and another that is totally old school Indian style with a Rudraksh on his neck and what not! Locations of the video are very scenic, dark and mysterious creating an aura that adds to the track’s ambience. Kaliyug is a track off of Heam’s mixtape, Vedastra, released in 2011. The rapper reworked on the audio of the track as the video got delayed for a long time. Heam collaborated with team RAT for the making of the video and specially flew down to Mumbai to shoot the whole thing. As soon as the first chorus drops, listeners would be guaranteed to be attentive to the whole track for the rest of the duration. Such is the power of Heam’s rhymes in this one! MC Heam deserves a lot of recognition for his constant years of hard work. The rapper is currently residing in Mumbai working towards his dream of being a successful musician. Kaliyug is only first of the many music videos that will be released from his side this year. Kaliyug will make the feeble minds rethink the way they’re leading their lives. Conscious Hindi rap has a new face, and its MC Heam!